We sell to homeowners, business owners, lawn care professionals, landscapers and do-it-yourselfers. 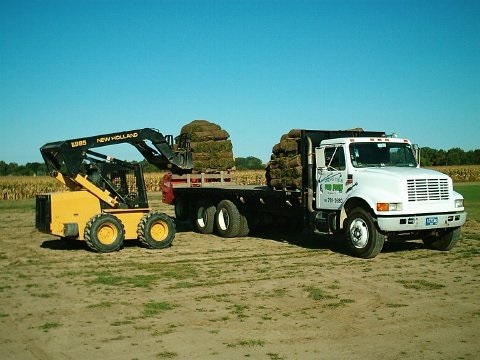 We can instruct you on how to prepare your ground for sod. Delivery and installation services available within 150 miles of Saginaw, contact us for pricing. Please allow 48 hours advance notice on all orders, weather permitting. Call or e-mail us to schedule your pick-up or delivery. In this video, Tom is preparing the homeowners ground for sod. We can provide this service for an additional fee. Copyright 2016 Saginaw Valley Sod Farm. All rights reserved.